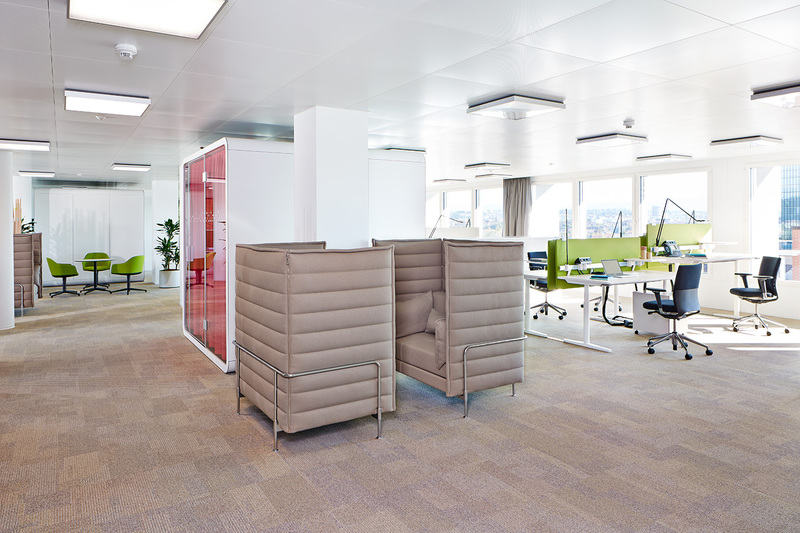 "The biotechnology group planned to convert the traditional cell offices used by 1,000 of its approx. 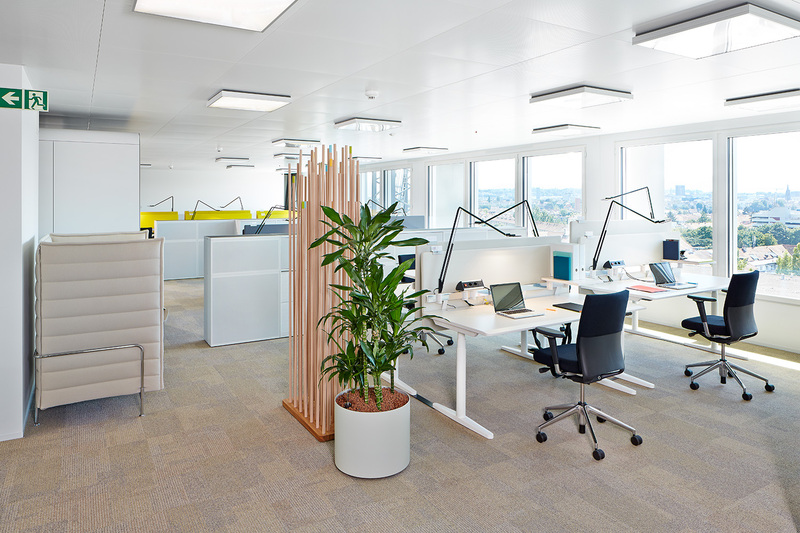 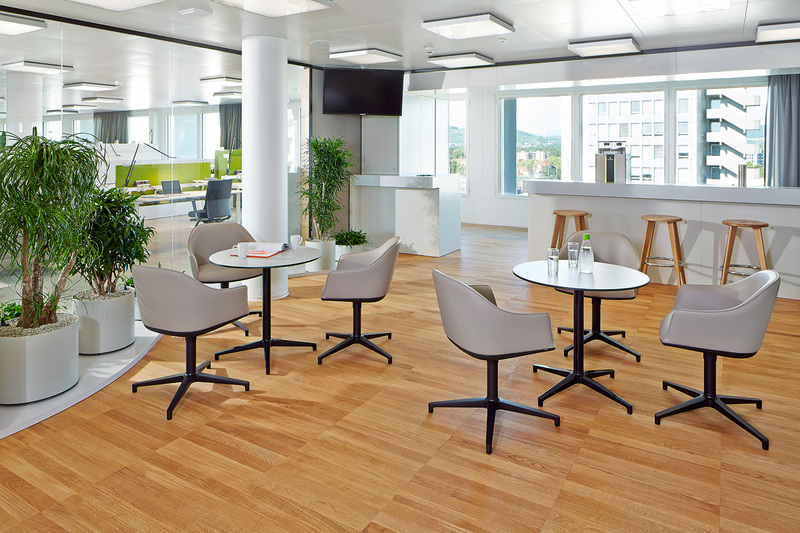 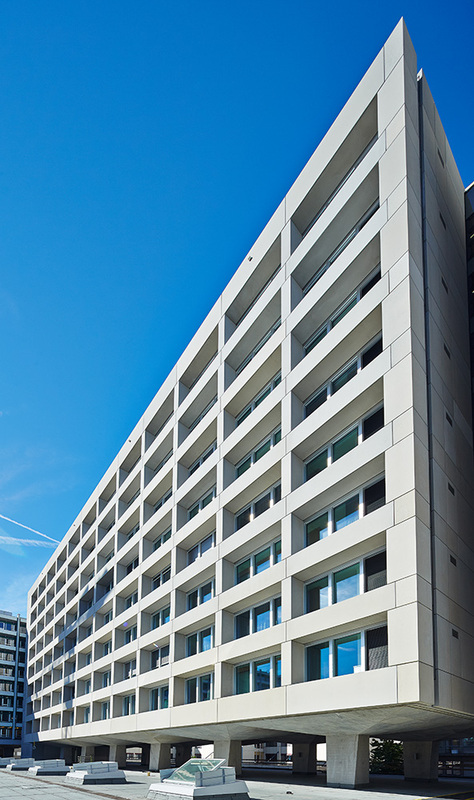 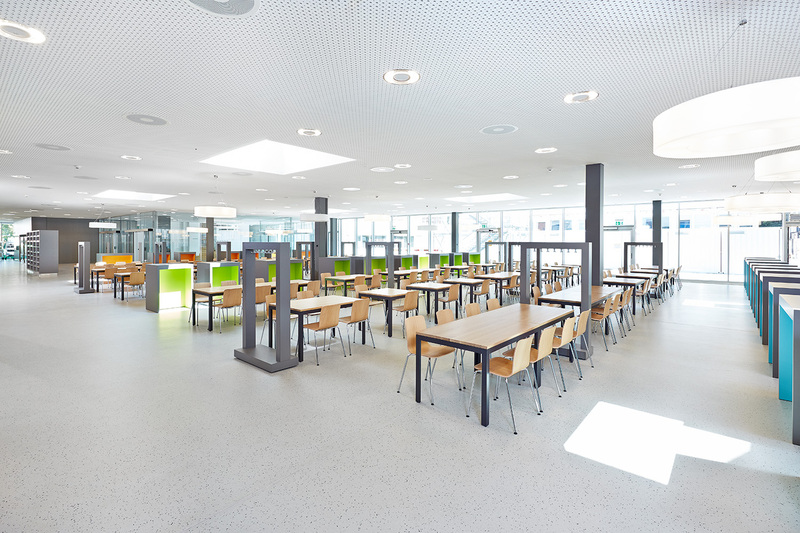 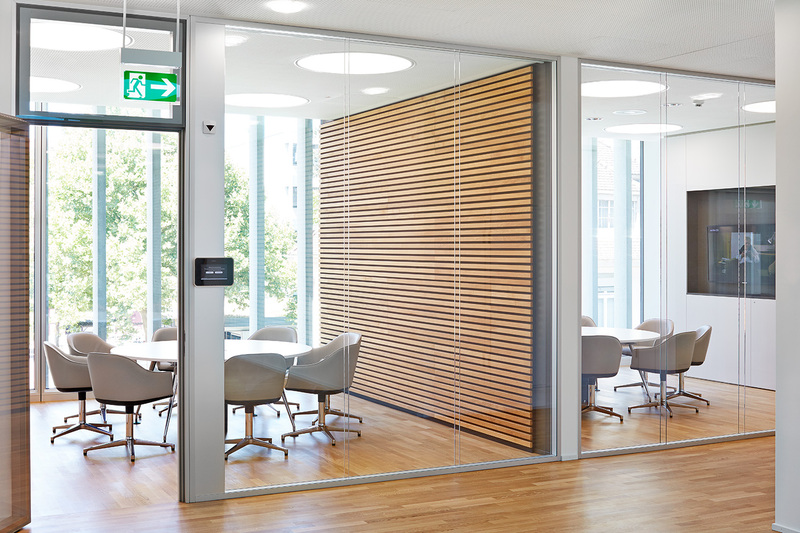 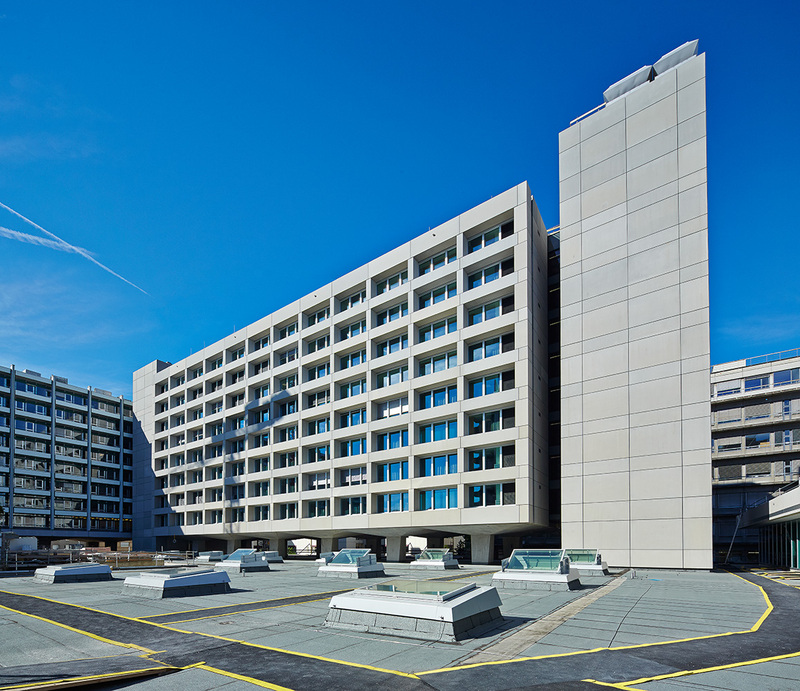 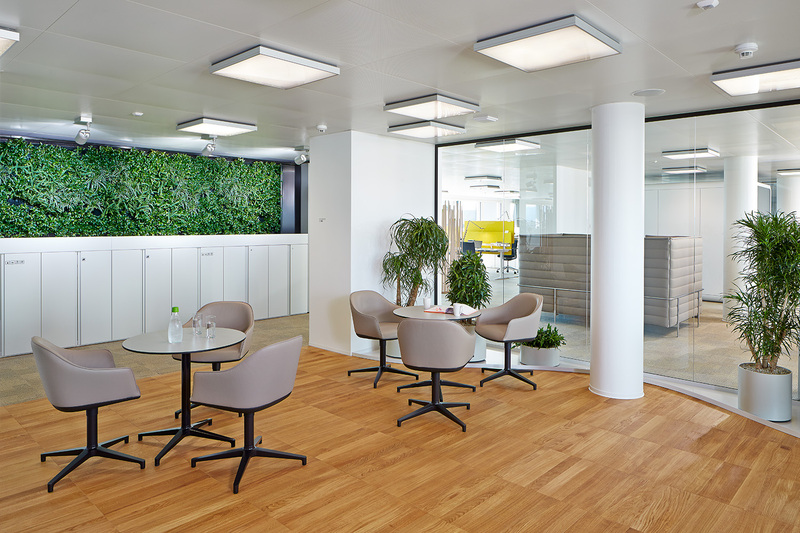 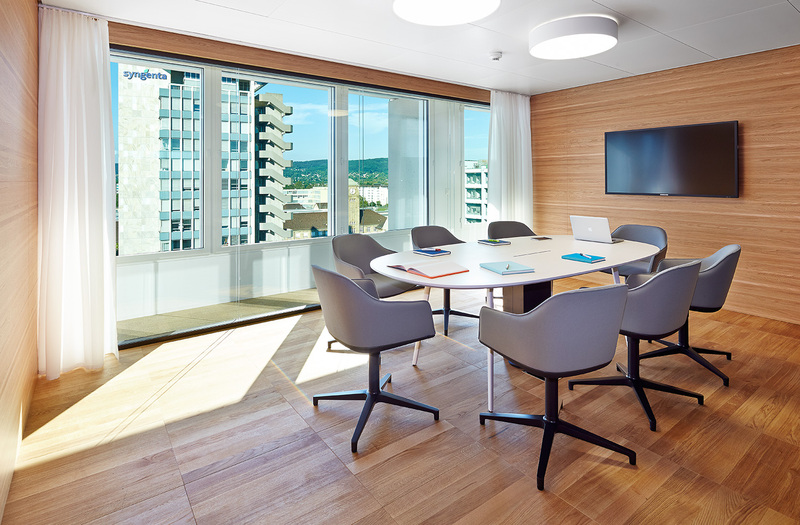 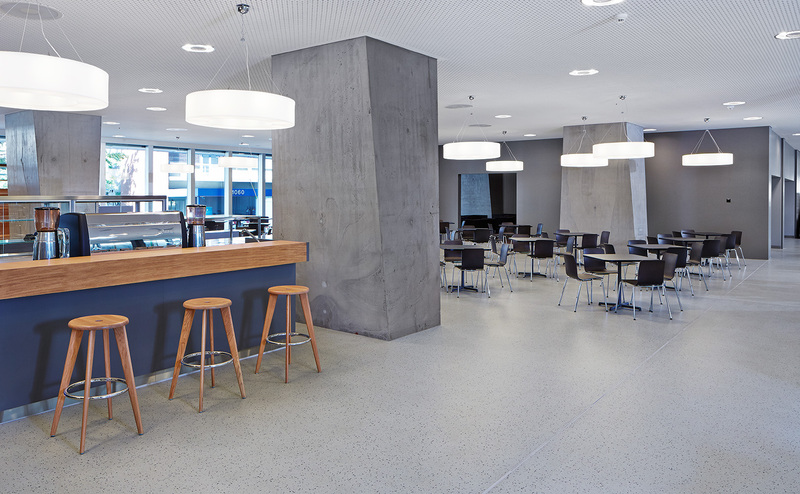 29,000 employees at its headquarters in Basel into open offices. 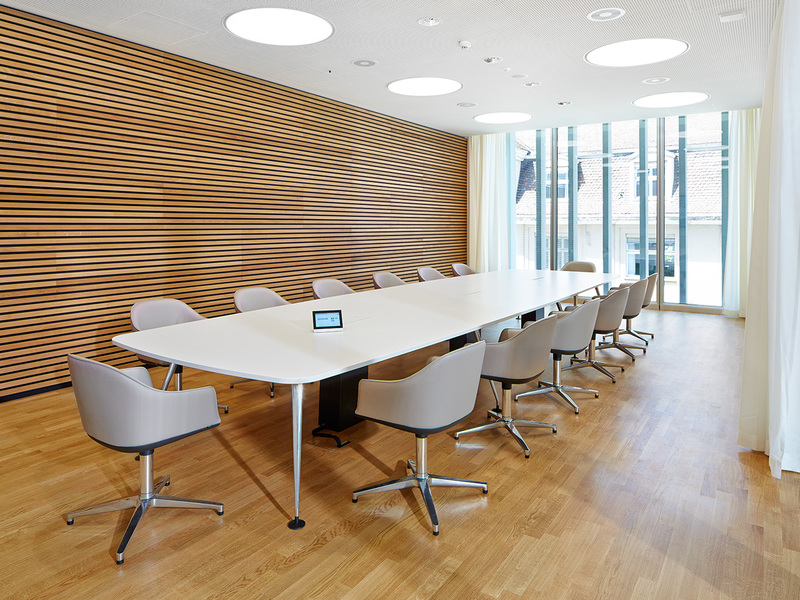 These plans focused on a spatial structure and design conducive to teamwork and cooperation. 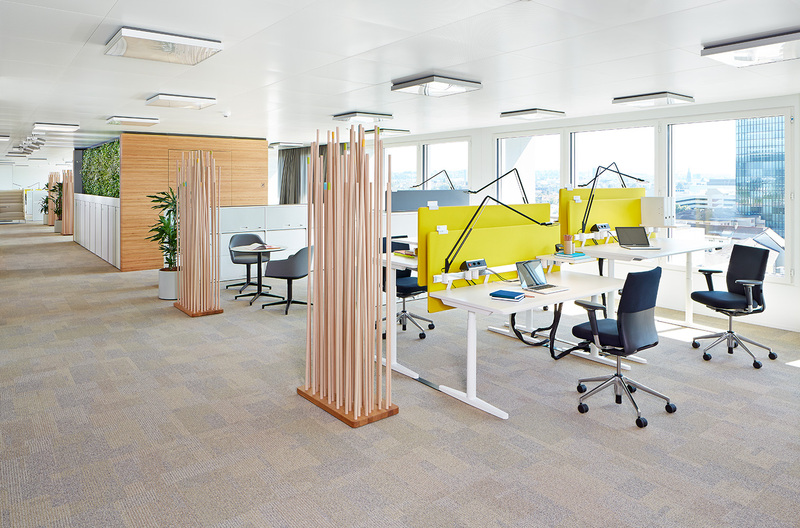 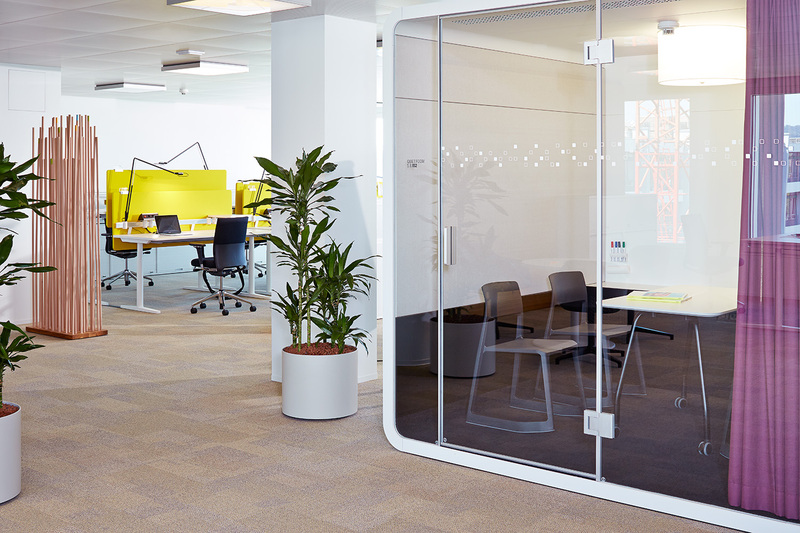 At the same time, the customer wanted to provide workspaces for its staff which conformed with the latest knowledge of ergonomics. 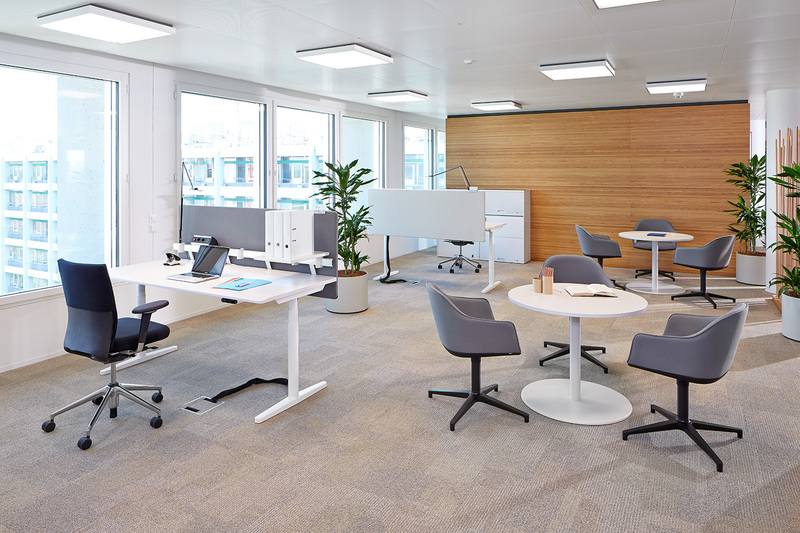 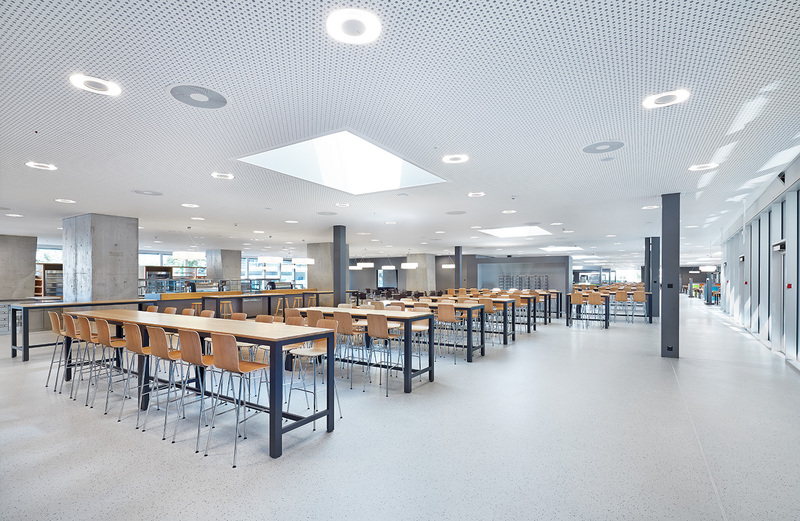 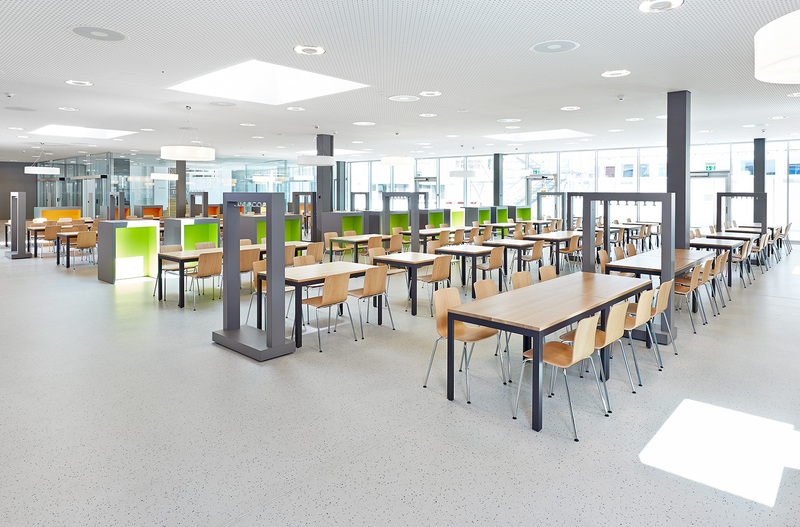 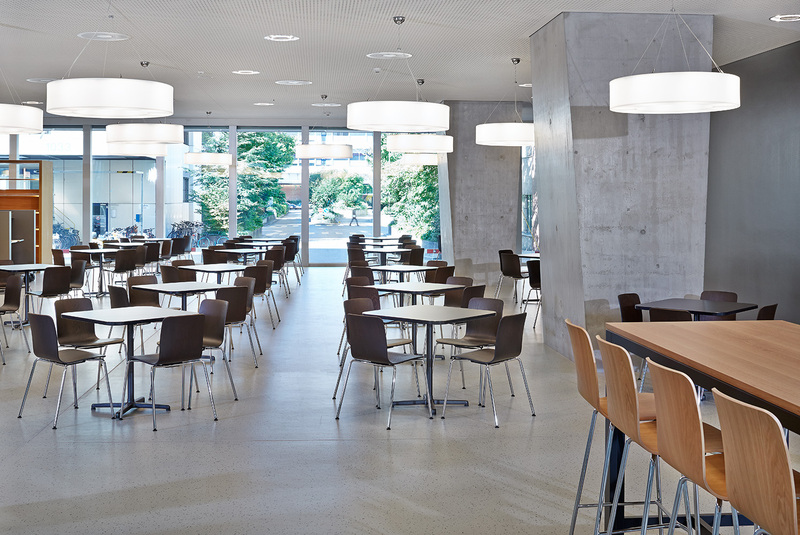 Vitra met these demands with Tyde height-adjustable tables, which were customised to accommodate Syngenta’s detailed requirements. 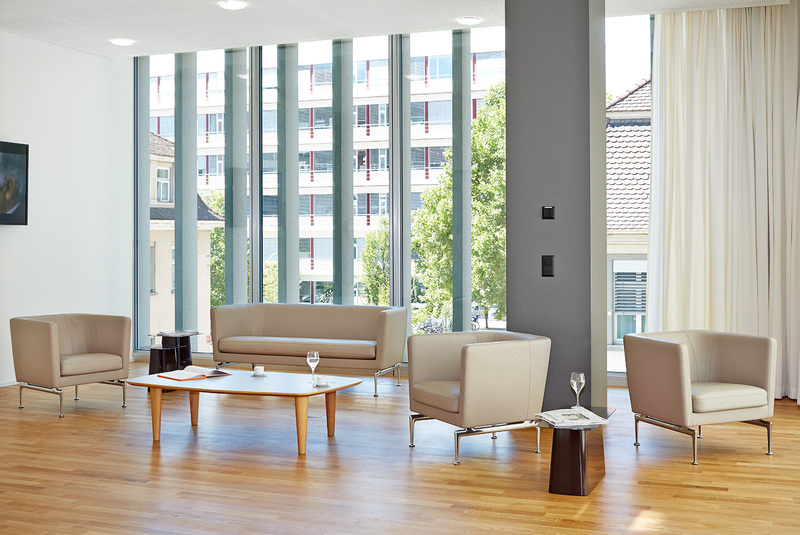 Vitra furnished not only the office space, but also the meeting rooms, canteen and retreat areas, without which no contemporary, open office landscape can function."